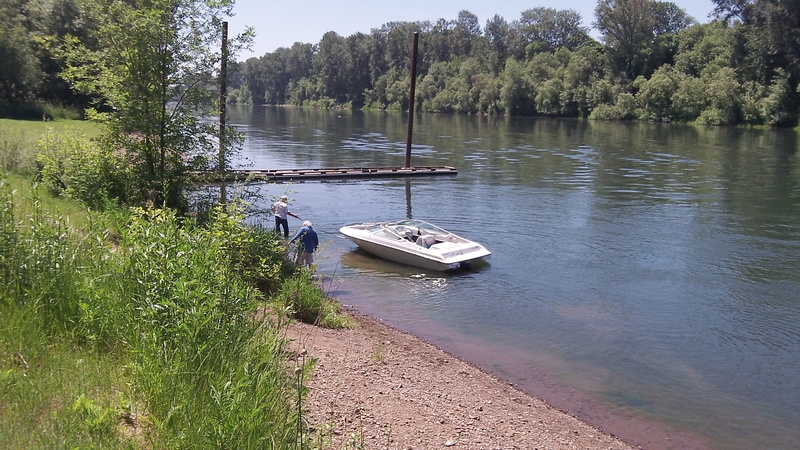 From the riverfont beat: This episode in a man’s boating life had a happy ending. But it should remind everyone that if you rely on your motor as the only way of propulsion, you may end up here: up a creek without a paddle. Once again my apologies for this rough video, shot while I was on a bike ride and stopped off at Albany’s Bowman Park on the Willamette River Wednesday afternoon.